Blood is more than a fluid solution of cells, platelets and plasma. It is a symbol for the most basic of human concerns--life, death and family find expression in rituals surrounding everything from menstruation to human sacrifice. 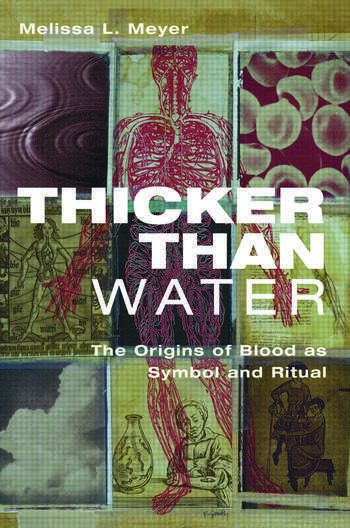 Comprehensive in its scope and provocative in its argument, this book examines beliefs and rituals concerning blood in a range of regional and religious contexts throughout human history. Meyer reveals the origins of a wide range of blood rituals, from the earliest surviving human symbolism of fertility and the hunt, to the Jewish bris, and the clitoridectomies given to young girls in parts of Africa. The book also explores how cultural practices influence gene selection and makes a connection with the natural sciences by exploring how color perception influences the human proclivity to create blood symbols and rituals. Melissa Meyer is Professor of History at the University of California, Los Angeles. Her research focuses on the different aspects of American Indian identity, including blood quantum requirements for tribal enrollment, intermarriage, and the historical experiences of people of mixed descent.